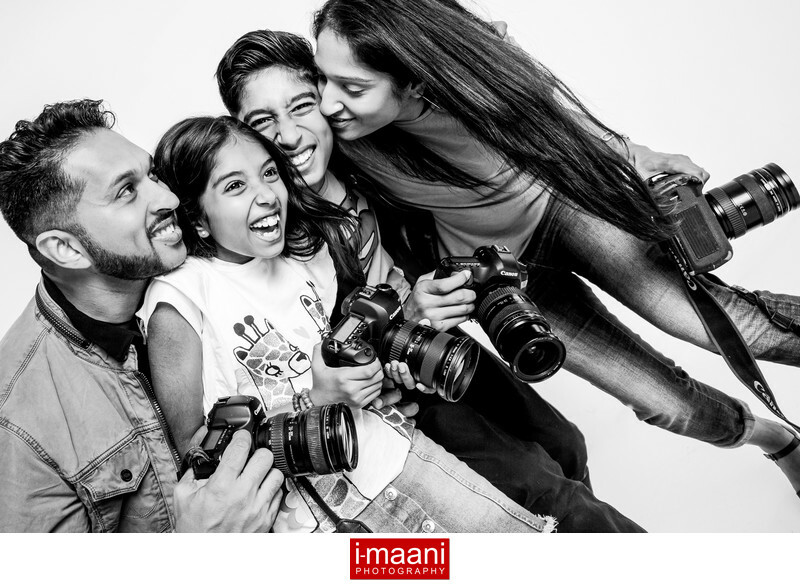 Welcome to the world of i-maani photography. Having been together for 20 years, Sher & Shital share a real passion for life and understand the importance of capturing moments that will want to be re-lived time and time again. Having two children themselves, they can appreciate what moments are from a parents perspective. "Watching them grow is incredible...time goes by so fast and we only have our photos of them growing to solidify the memories held in our minds". Sher & Shital like offering their clients photography that is clean and contemporary. Sharp captures that are true to the eye and genuinely reflect the realness of the event. Being photojournalists they have a documentary approach to their style of storytelling, which gives a linear sense of continuity when viewing the final album. As a husband and wife team, they are both lead photographers. From Sher's creative vision to Shital's flair for fashion imagery, their outcome is simply gorgeous wedding photography. There are many components to capturing a wedding from a photographers perspective. There is the decor, the details, the couple, the family, the ceremony, the portraits, the rituals and the dancing. All of these elements evoke smiles, tears, laughter and much joy. "We are truly blessed to be in a position that enables us to capture memories that can touch people throughout their lives and the generations to come." Their couples feel at ease from the initial consultation to their wedding day. "We believe that the best results occur when you have a personal relationship with your photographer". Sher & Shital collaborate with their clients giving them assurance and trust that they will receive an impeccable and professional service from planning, right through to delivery. Sher & Shital have gained invaluable experience from documenting weddings from diverse cultures and traditions. They have documented events in the UK nationally as well as internationally in Los Angeles, Florida, India, France and Italy. i-maani photography has achieved global accreditation with the Wedding Photojournalist Association (WPJA), which is an elite group of the finest wedding photographers in the world. They also belong to the Artistic Guild of Wedding Photojournalists (AGWPJA) and the Society of Wedding & Portrait Photographers (SWPP). i-maani photography is based in Berkshire, Greater London, UK.